One great thing about the Christmas TV season is older generations get to share with the next generation the beloved holiday specials they grew up on. This week is a prime example. First aired in 1964, this stop-motion animated special has spawned scads of Christmas decorations, toys and games. But strangely enough, no one has tried to do a live-action feature-film version. THANK THE LORD– because modern Hollywood would try to make it either crass or intentionally meaningful, and either would ruin it. Based on the song of the same name, this apparently simple story of an outcast reindeer that saves Christmas is a light but surprisingly deep tale. It speaks to anyone who’s ever been rejected, who stepped out of a comfort zone, had an adventure, made new friends, helped the despondent, grew up and faced fears head-on, and was forgiving enough to save the day — even for those who persecuted him. This is one of the Christmas specials that doesn’t mention Christ, but for a reindeer, Rudolph is a pretty good Christian. On a personal note, Clarice is my spirit animal. Girl knew a good thing when she saw it. The magnificent tree outside iconic Rockefeller Center in midtown Manhattan — home to NBC and very near to St. Patrick’s Cathedral — lights up in this annual special. Among the performers are Brett Eldredge, Jennifer Nettles, Leslie Odom Jr., Pentatonix, Gwen Stefani and The Tenors. Doing hosting duties are “Today” regulars Matt Lauer, Savannah Guthrie, Hoda Kotb and Al Roker. 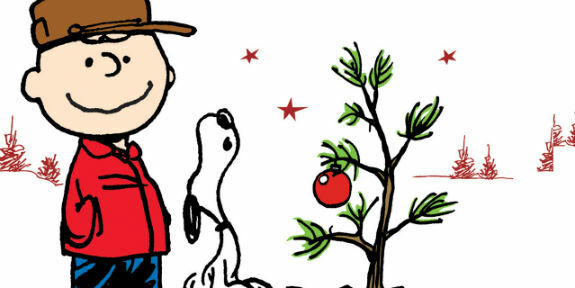 This 1965 “Peanuts” classic has a lot going for it: Charles Schulz’ immortal characters, sharp wit, a great jazz score by Vince Guaraldi, Snoopy and the Christmas lights, a sad little tree and, most wonderful of all, a Gospel recitation of the true meaning of Christmas that probably wouldn’t make it past today’s PC censors. Whether intentionally or not, when Linus begins his recitation from the Nativity narrative in the Gospel of Luke, he’s bathed in pink and purple — the colors of Advent, which begins this Sunday. So, do you have the Advent wreath and purple and rose candles ready to go? Is the Advent calendar on the wall? After all, we’re Catholics, and we’ll celebrate no Christmas before its time (and then we’ll keep celebrating it for a good long time).